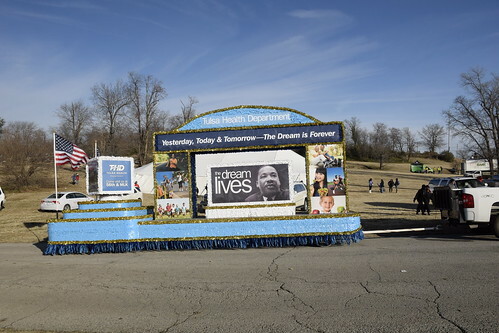 Tulsa has a big Martin Luther King Day parade every year in the Greenwood Area north of downtown. 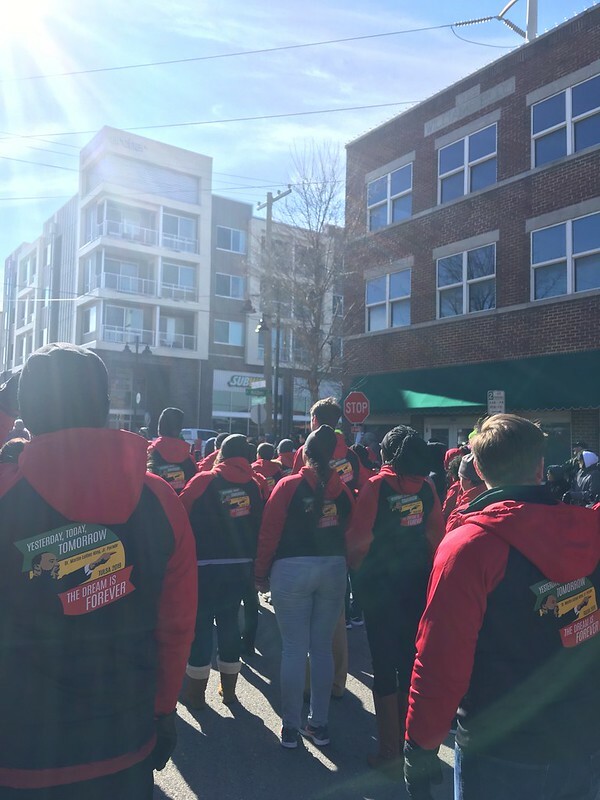 I’ve known it was there and I’ve had a couple of employers who sponsor floats and encourage employees to march together but I had never done it mainly because it is dang cold in January, right! 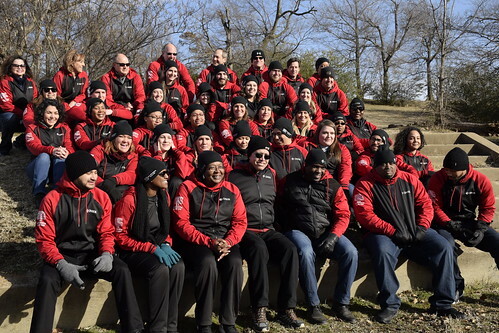 So this year I broke out of my comfort zone and signed up and got a nifty jacket with a hoodie to wear. 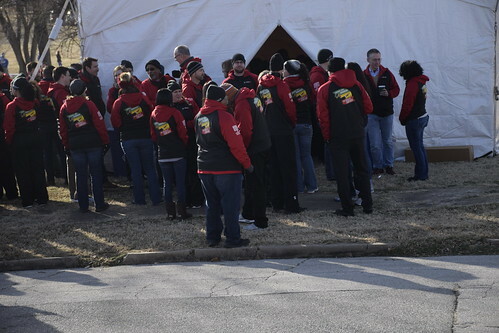 I rode the shuttle bus from work up to the staging area and spent the next hour and a half freezing like a popsickle while talking with coworkers. I checked out Tulsa Health Department float while waiting. 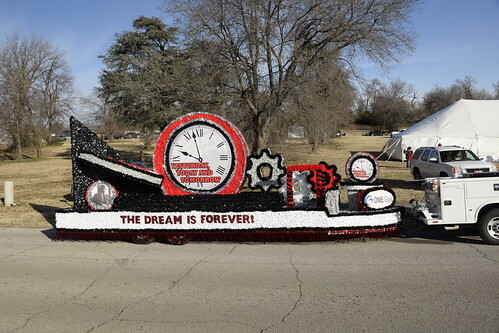 And here is the ONEGAS Float. Finally we went to get in position and off we went. And it was fun. Lots of people along the way waving so we waved back. Lots of kids were begging for candy and I guess that used to be done and the organizers ended the practice for some reason. My employer had a drill team and they stopped it seemed about ever hundred yards or so and performed. I was much impressed, they were good! Above is a video of them practicing before the parade started. 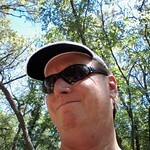 I had a good time and will be back next year. I am not joining the drill team though. 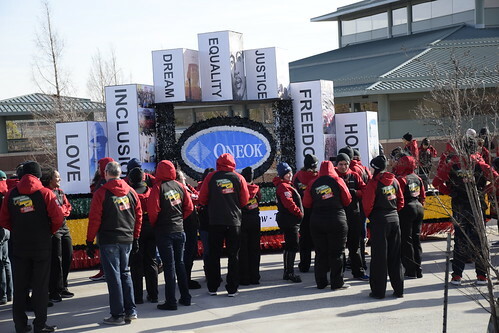 This entry was posted in Uncategorized and tagged Martin Luther King Day Parade, ONEOK, ONEOK Drill Team on January 22, 2019 by Alan Bates.